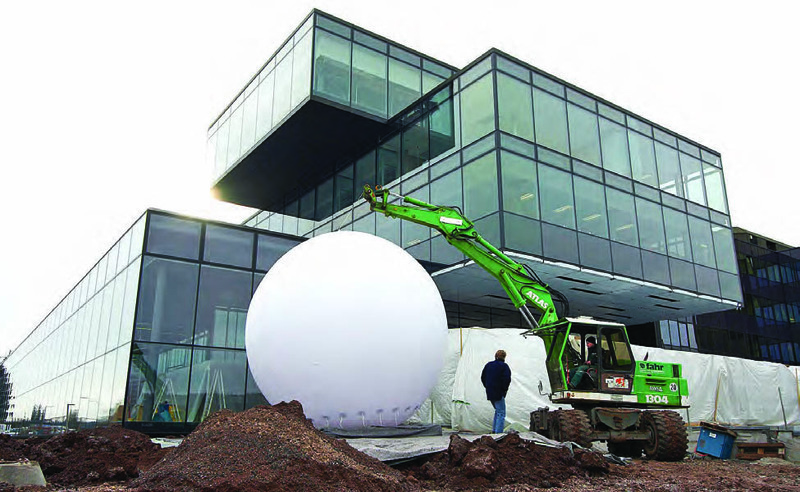 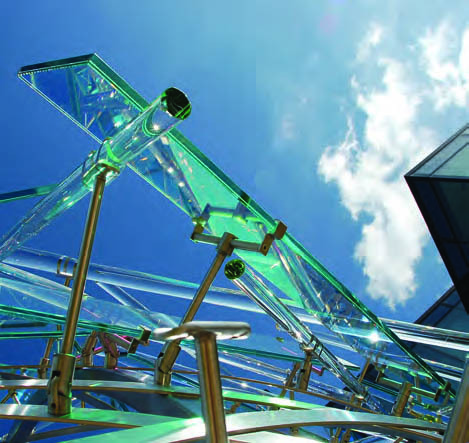 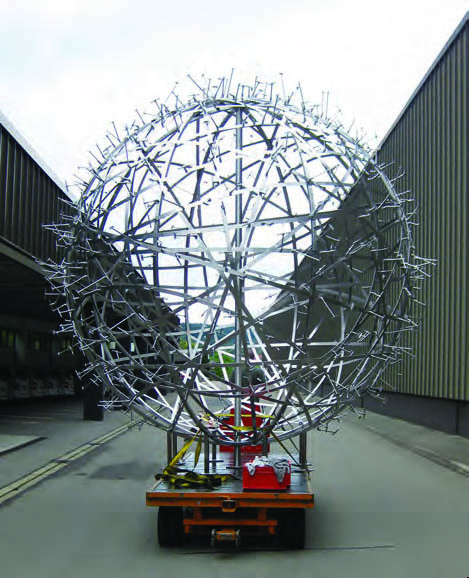 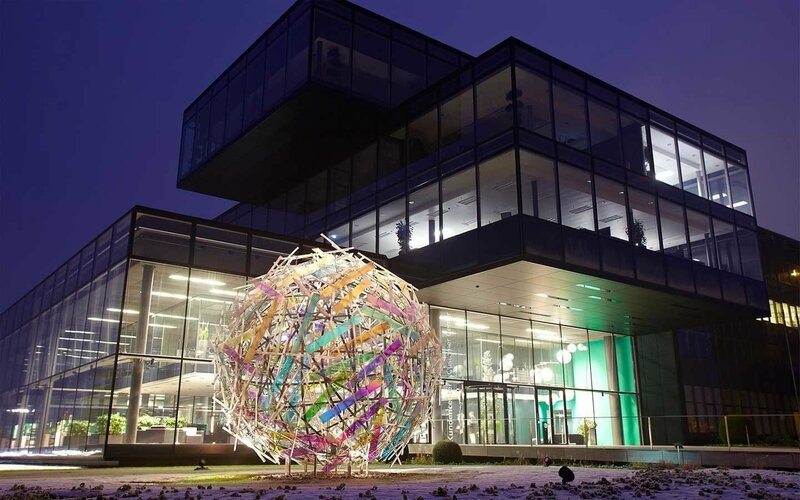 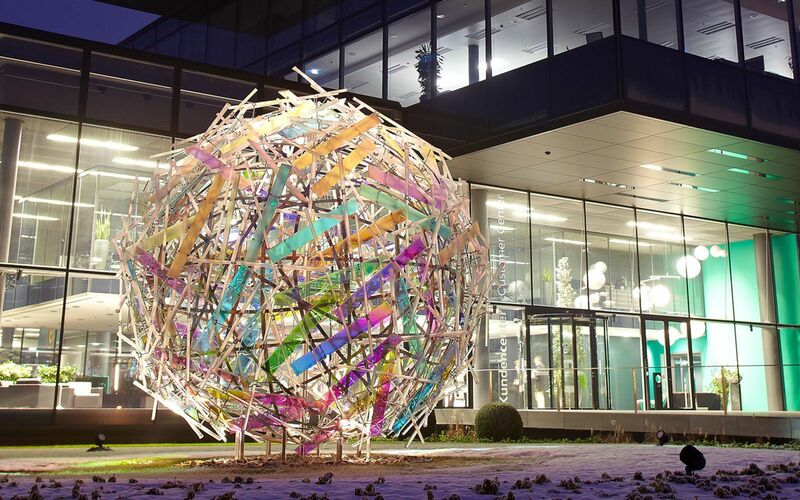 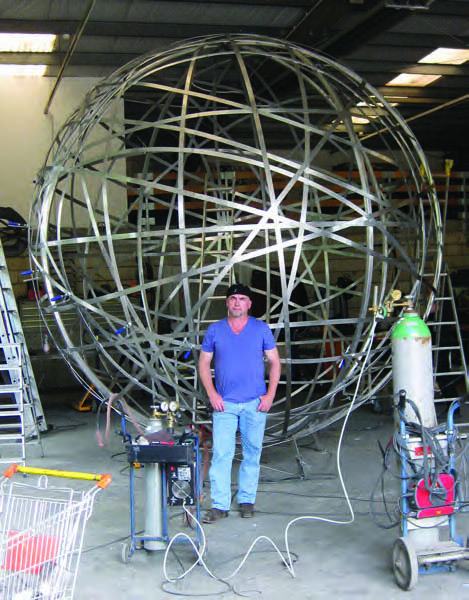 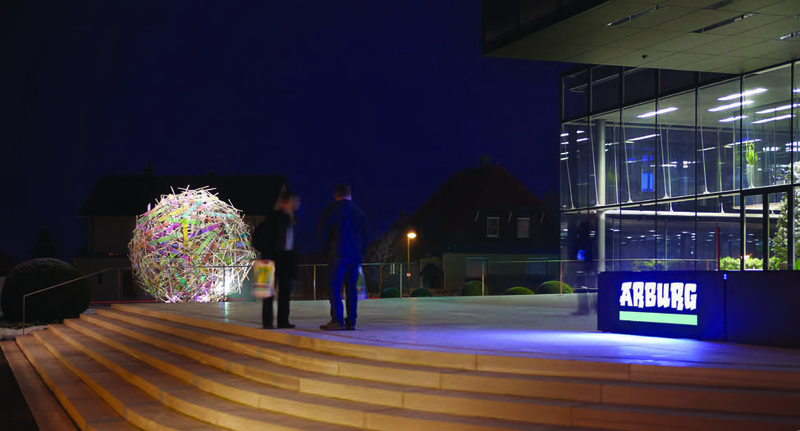 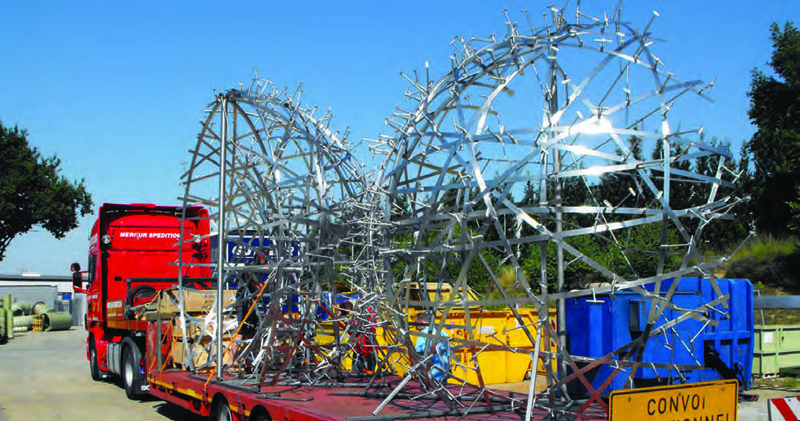 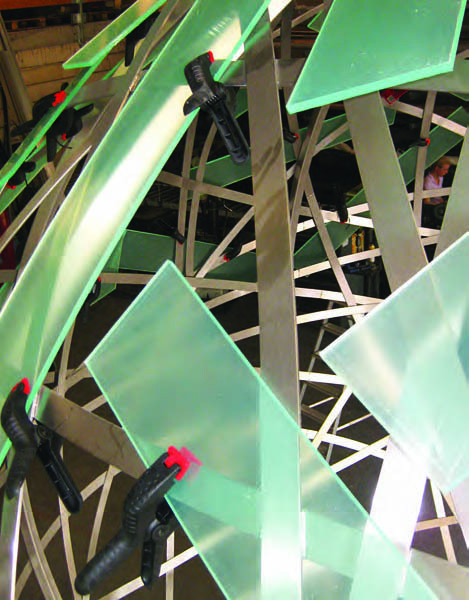 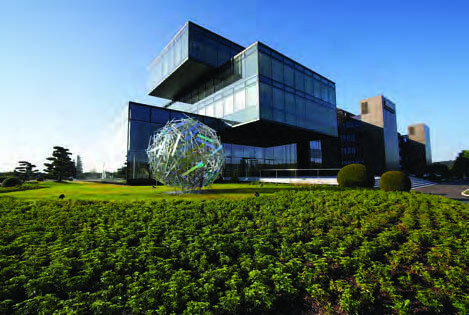 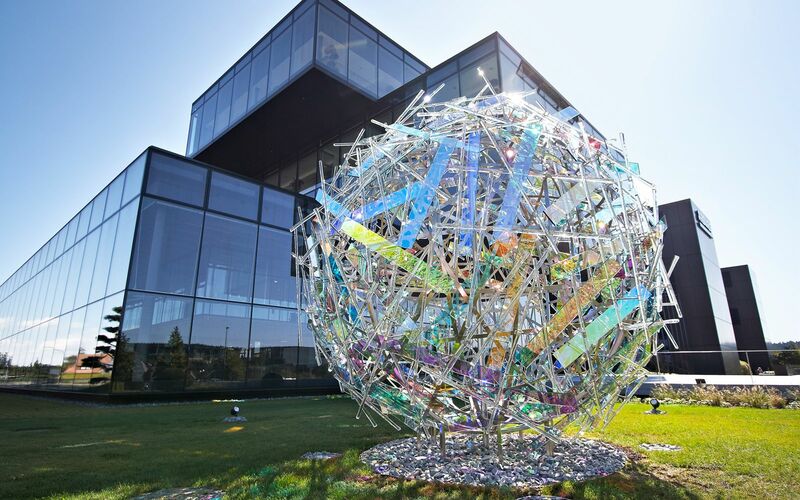 Gordon Huether was commissioned to create this sculpture for the exterior of a new customer center for Arburg, a leading global manufacturer of injection molding machines for plastics. 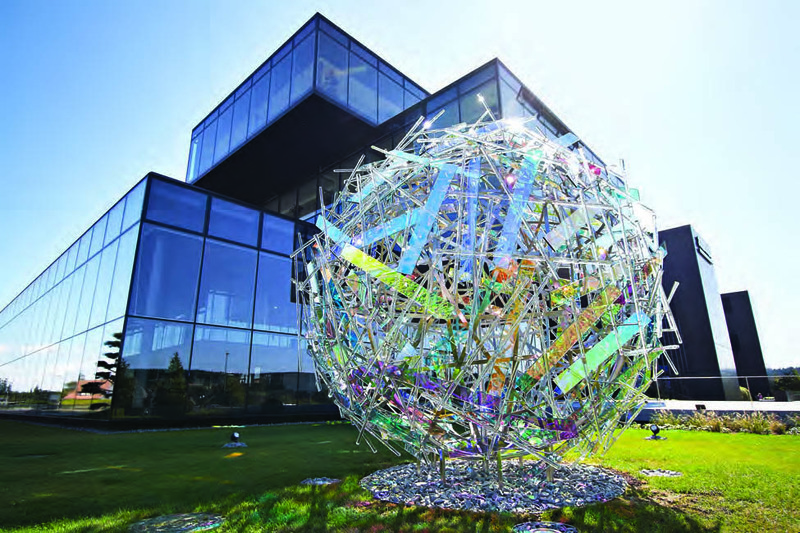 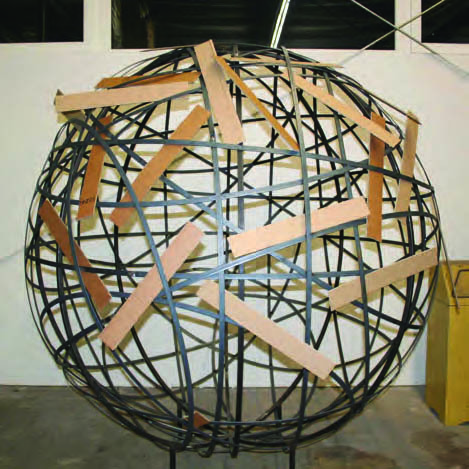 The spherical form provides a complementary contrast to the building’s stacked rectangles while symbolizing Arburg’s global reach. 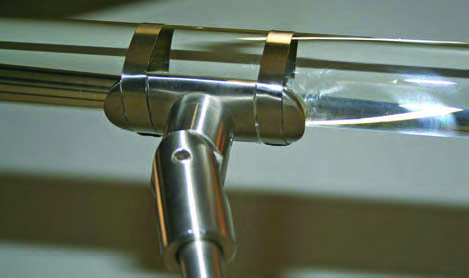 The range of colors throughout the form reflect Arburg’s ability to create products with a wide range of colors. 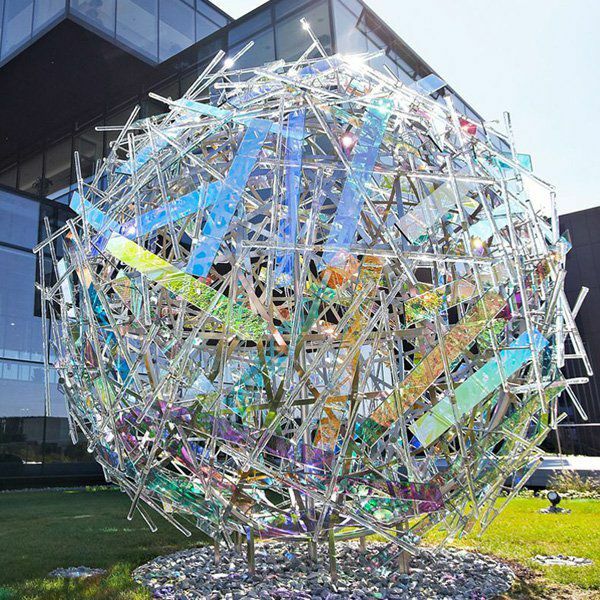 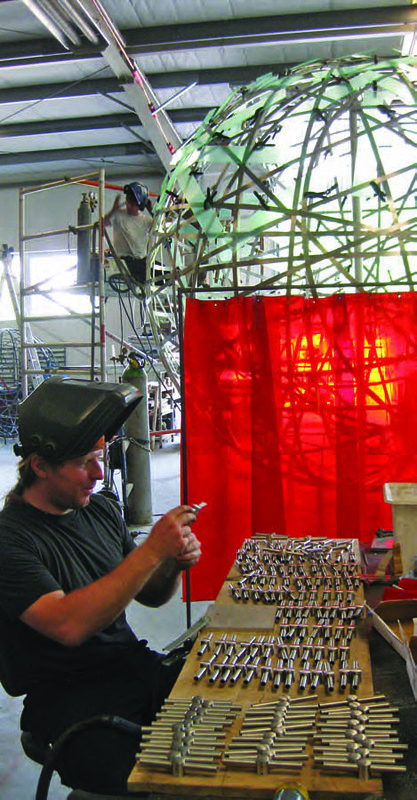 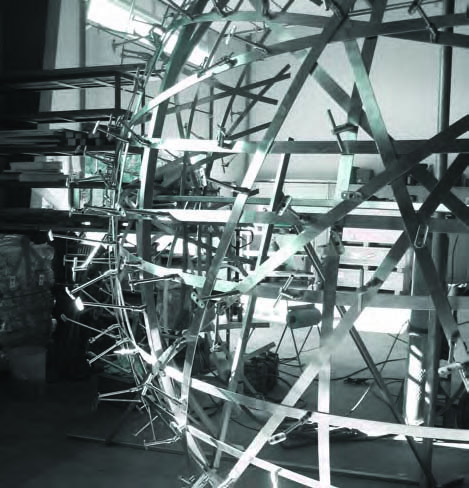 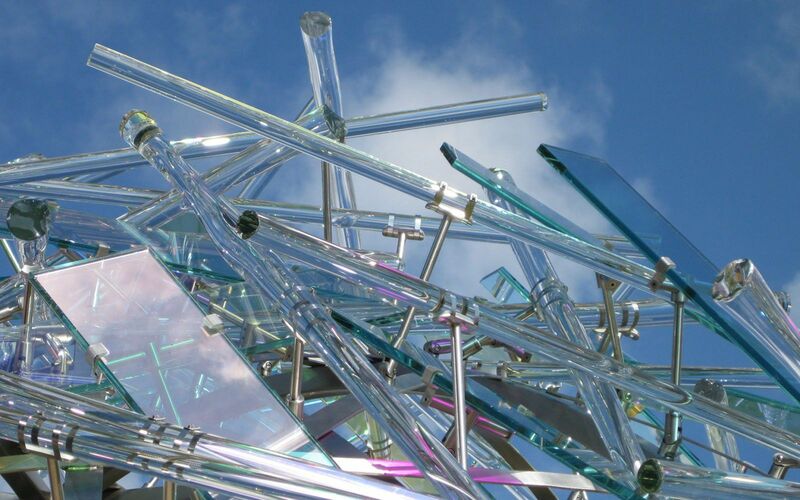 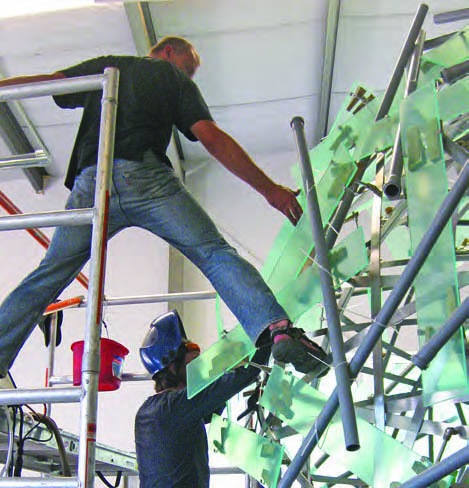 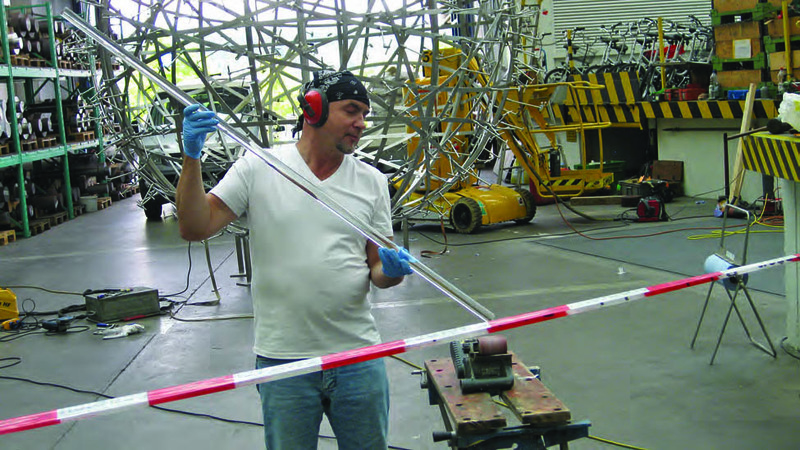 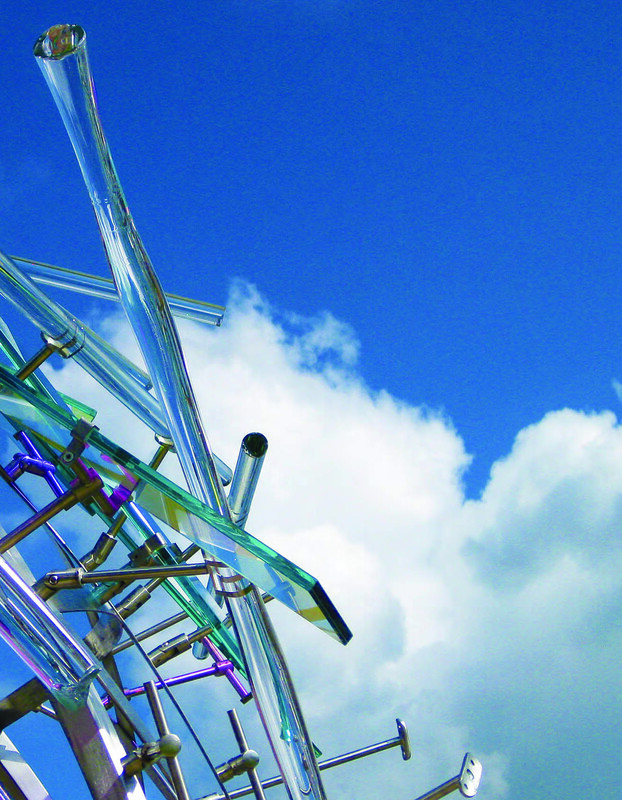 The sculpture is fabricated from stainless steel, pulled art-glass rods, optically perfect Pyrex and Dichroic glass.